Do not change the seat cover. It may damage the seat warmer. 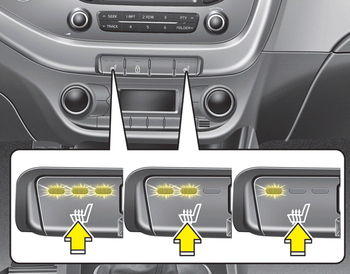 Passengers should use extreme caution when using seat warmers due to the possibility of excess heating or burns. The occupants must be able to feel if the seat is becoming too warm and to turn the seat warmer off. The seat warmer may cause burns even at low temperatures, especially if used for long periods of time.